People make history. People are history. 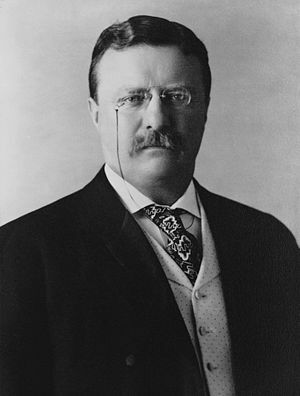 President Theodore Roosevelt during his presidency coined the term “Bully Pulpit” to mean a “terrific or advantageous” platform to promote ideas. The position of President of the United States might be the best place in the world to promote ideas. Back then, in his day, the word “Bully” meant a good thing, as in “”Bully for You” or “Good For You.” But somewhere, as in the case of many words, the meaning of the word was hijacked to the more popular definition of the word today, “A person who uses strength or power to harm or intimidate those who are weaker.” The verb form meaning to force or harass someone using superior strength to do force him or her to do what one wants. There are many varieties of bully. Some are less harmful than others but the different speciesalways leave some form of destruction in their wake. Here are my top eight types of bullies that wreak all kinds of havoc as we all try to live, thrive and survive day-to-day. 1. The Government Bully– Someone who has gained a position of power by military take over, Coup de Tat, violence against the voting populace, political maneuvering or government appointed position. This type of bully proves the most dangerous because they can use their position to gain wealth, kill people, keep power and bully other countries into entering into unwise diplomatic agreements as well as any number of wrongs against the people. They include the likes of Saddam Hussein. Adolf Hitler, Josef Stalin, Chairman Mao Zedong, Pol Pot, Genghis Khan and many more. 2. The Office Bully-This person creates the toxic atmosphere at work. The person everyone knows , whom management lets run rough shod over other co-workers either by using something they know, someone in management they know, or just using an acidic personality to create havoc in the work place or torment the one individual in the office who takes the abuse. This where other co-workers should step in and take a stand even if the bully sits at a higher level in the organization. 3. The Teleconference and Meeting Bully-That certain someone who raises his or her voice, try to talk over people, cuts off another person talking, ridicules someone else’s ideas. You know that someone in the office. A person who wants to take over the entire meeting to look fantastic in front of “The Boss.” I dislike these people and managers should call them out and make them stop. 5. The Internet Bully-These people are the trolls you see at the bottom of a story you have read in the comment list but they are also the same people who use the social media to harass and torment another person. Cyber bullies are the worst because they are going after a person for the whole world to see. These people are the cause of some teen ager or young person committing suicide because the cyber bully won’t back off on the social media comments and criticism. Someone who bullies a person through social media has no self esteem and no compassion for other human beings. 6. Corporate Bully-The corporate bully intimidates start-ups, harasses inventors, steals inventions, steals software or worse yet, calls in some government friends for favor so a certain agency can do an audit or create an avalanche of paperwork and lawyers so that a company or individual can go away. You know who they are: some have been around for a long time. President Teddy Roosevelt called them monopolies and decided he had enough of them. He did what good bully fighters do, he made them stop. 7. Gang Bully-Any person using his position as part of a group, gang or union to intimidate, harass, persecute or just plain beat up. These people get their so-called “courage” because they know their buddies will be standing behind them in case the scene gets a little tough for them to handle. I see no courage in that. The person who takes on the group alone, now that’s courage. 8. Law Enforcement Bully-A majority of law enforcement officials are superb human being and logical in their approach to handing out citations and tickets. But now and then you get someone who you can just tell hasn’t been in a position of power or leadership and they carry an attitude of, “OK, now I’m in power position and people are going to pay.” They are few, but when you come across one, you never forget them. Ok, now I’m off the bully pulpit about bullies, for now. Sometimes it doesn’t matter what is real but what people think is real. The list is long about what the majority of the population thinks is true about someone or some event that turns out to be nowhere near what the reality is. The perception doesn’t line up with reality. Vietnam, Nixon, the Economy, the Depression, Democrats, Republicans, Tea Party, Liberals, Occupy Wall Street, Elections, Law Enforcement, and many others are subject to internet falsehoods and a long history of bad information being passed from one person to another. For example, the reputation of Herbert Hoover as someone who didn’t care for the working man and never lifted a finger to help the struggling poor while being solely responsible for the Great Depression is way off the mark. This perception is mostly due to his policies in reaction to the great depression and the unfortunate name given to outdoor shanty towns, Hoovervilles. However, that perception couldn’t be further from the truth. As Food Administrator during World War I, he was responsible making sure enough food rations were sent over to Europe to keep the war effort rolling. After the war, Europe was left without enough food to feed its population for the winter. Hoover organized food shipments to Europe and sent food to Russia as late as 1921 so that millions of people could survive. Concerning the depression, He also warned President Calvin Coolidge in 1925 about the folly of excessive stock market speculation. He knew that practice would catch up to the health of the economy and it did in 1929. 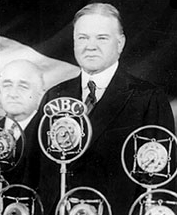 After the depression, he also took steps to try to end the depression such as moving construction projects ahead of schedule, cutting taxes, and increasing the funding for public works. After, being treated like an outsider by his own party and the democrats for several years, one person invited in for his organizational skill and history of helping people in need. In fact, President Harry Truman invited former President Hoover to the White House to organize the war relief effort after World War II. So, for someone who gets the majority of the blame for the great depression, it seems he was one of the first to warn us about Stock Market speculation that was a major cause of the crash. He was also more concerned with helping people in need than what is in generally perceived. The phrase “perception is reality” is an expression used to convey the idea that how you look sometimes matters more than what you do. As Billy Crystal’s character said on SNL, “You look Maahvelous!” It got a laugh but with most first-rate comedy it has a ring of truth. The best dressed office worker who portrays confidence may get a first look when it comes to a promotion and a key position over someone who looks average but performs at a high level. History is supposed to correct perceptions and publicize the greater truth. The following is a list of subjects with perceptions and realities listed. Is it better to look good than to feel good? I prefer both. Vietnam United States lost war We won all of the ground battles, including the Tet Offensive. Withdrew due to Nixon/Kissinger peace agreements. 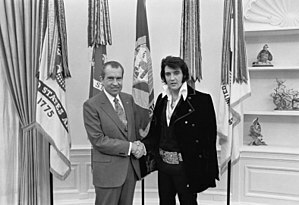 President Richard Nixon Failed President Accomplished several initiatives while POTUS, establish EPA and Dept, Natural Resources, improved relations with China and USSR. Ended Draft. Signed into law Title IX. North Ultra liberal, jaded urbanites, elite college intellectuals who consider themselves at the top of a class divided society Although liberal candidates win a majority of the elections, places like NJ, and Massachusetts sometimes elect conservative candidates. Many northern states enjoy a vast rural areas. South Mostly rural. Uneducated, lazy populace, rejection of evolution in favor of religious dogma. A majority are bigots. Technology Companies do business there. Many Northern professional transplants. Most accept evolution outright and a majority understand both views. There are just as many bigots, racists and segregationists in the North as in the South. Just as many opened minded progressives live in the South as in the North. Law Enforcement Power Hungry government representatives out to harass populace A majority of law enforcement professionals are subject to rules of engagement and internal investigations. TSA Airport Security Government reps who invade your privacy. Security professionals assigned to do an impossible job following government protocols and rules. Veterans and Active Military Not intelligent enough to get a commercial job. Aggressive people who are blood thirsty. Damaged by war and can’t function in society. More often than not, people in the military have some college education or a degree. People trained to make logical decisions in a split second. A majority of veterans have integrated within the work force. Today’s traditional broadcast and print media coverage of a particular topic is constantly challenged by the public’s use of social media. However, with PR firms, marketing representatives, and spokespeople, getting out in front of an issue or an event is just a matter of your story being told before someone else’s version. History shows that the victor gets to write its version of events. Sometimes it’s the truth and sometimes it’s just a shade of it. Where Do We Go From Here…?